Virtual infrastructure objects: vCenter Servers, datacenters, clusters and hosts. VM copy jobs — Veeam Backup & Replication compares the location of the source host on which VMs are registered with the location of the target backup repository or target host. 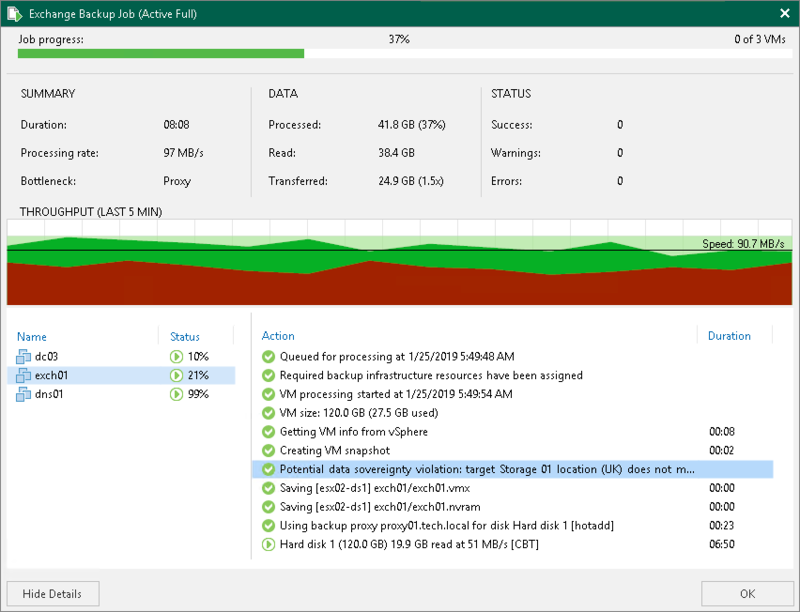 Quick migration tasks — Veeam Backup & Replication compares the location of the source host on which VMs are registered with the location of the target host. Restore to Amazon EC2: Veeam Backup & Replication compares the geographic region of the backed-up EC2 instance with the geographic region of the target EC2 instance.